Looking for inexpensive car hire in Tampa, Florida? Search and compare a range of quotes online to ensure that you find the best price for your needs. All companies have pick ups and drop offs available at major airports throughout the world. In just a few easy steps you can compare dozens of quotes. Simply choose your preferred pick up and drop off location in Tampa and your favoured model of car and the driver's age, then click for the best deals. Tampa has a good public transport network, but many of the services are limited if you want to explore the surrounding countryside or neighbouring towns. 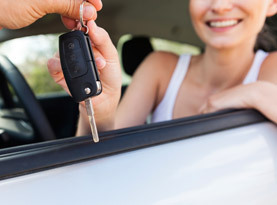 In order to take full advantage of everything on offer, it is best to hire a car. Tampa International Airport is a busy facility serving cities all across the world. It is the busiest airport for car hire rentals in the US. To get the best price on your cheap car hire in Tampa, it is adviseable to book in advance and online. Once you have picked up your hire car in Tampa you will be able to visit towns, cities and sights in the region. The city is home to beautiful parks, gardens and a large aquarium, a number of museums, excellent shopping facilities and a great deal of golf courses. Away from the city, popular daytrips include the beaches, which are a short drive away, Lakeland and St Petersburg. Tampa has a humid subtropical climate with long hot summers and relatively mild winters. Temperatures rarely drop below freezing and snow is virtually never seen. Rain is a frequent occurrence and tropical storms are common in the summer months as the humidity is high.